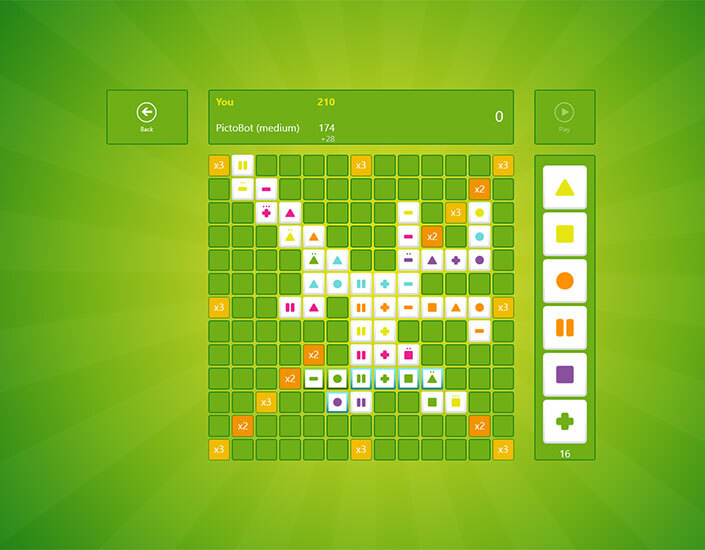 PictoFeud is an addictive, turn-based, Windows Store board game app. 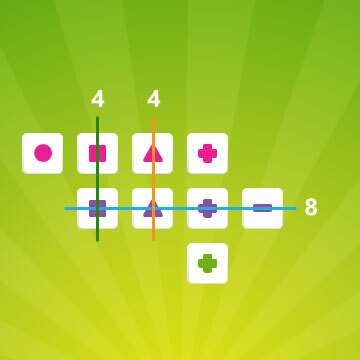 Play against PictoBot or one of your friends, and challenge your brain! Yes, we did it! 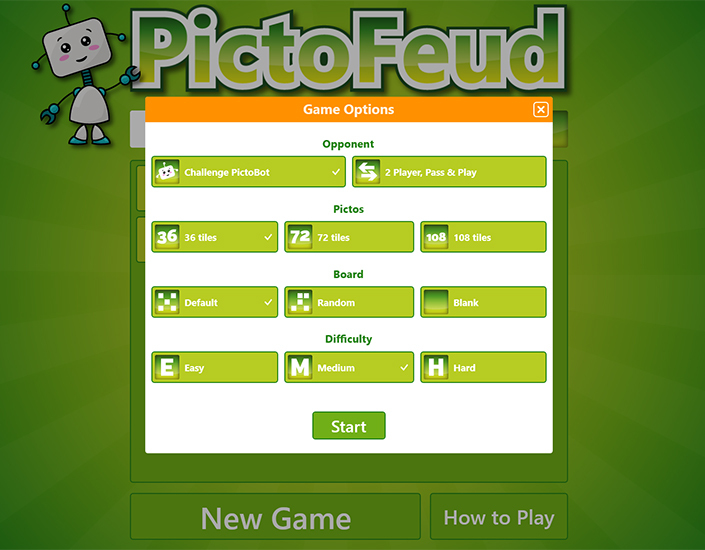 PictoFeud has been accepted into the Windows Store and is now available for download. Check it out and let us know what you think! 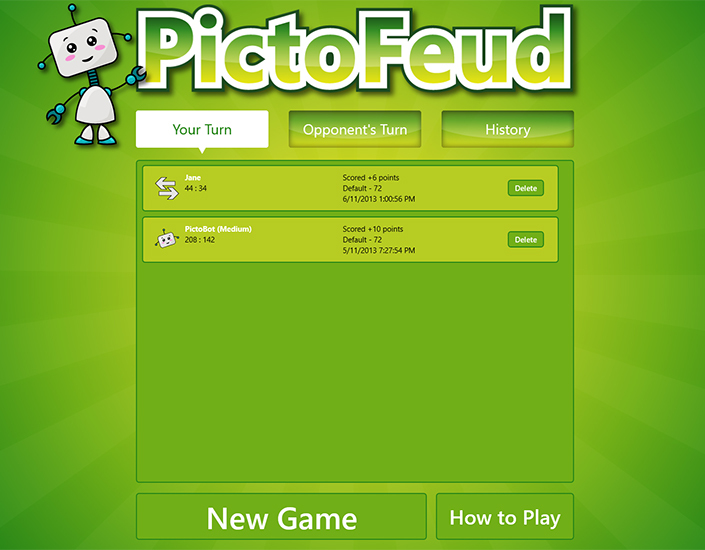 The first version of PictoFeud has been released, but that doesn't mean that we're done. For our next version, we plan to include the option of playing against other people online. Beautiful and intuitive design that puts all functions right at your finger tips. Sound effects can be turned on or off using a button in the bottom app bar. 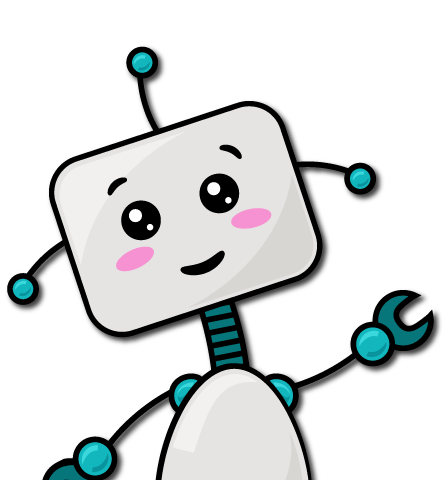 Play against the PictoBot mascott or against one of your friends. 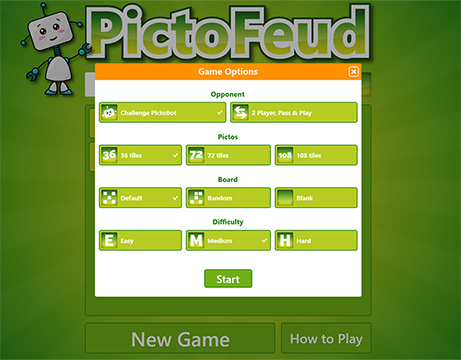 PictoFeud supports games with 36, 72 or 108 tiles. Three levels of difficulty determine how smart the PictoBot opponent is. The board type applies to the layout of multipliers and can be default, random or blank. Save and resume multiple games, and access them from the main menu. 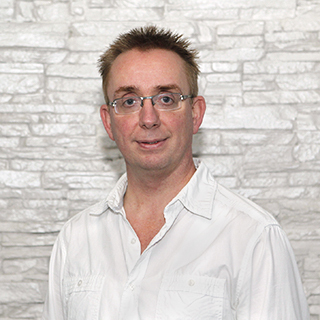 View game stats of current and past games and challenge yourself to improve your high scores. 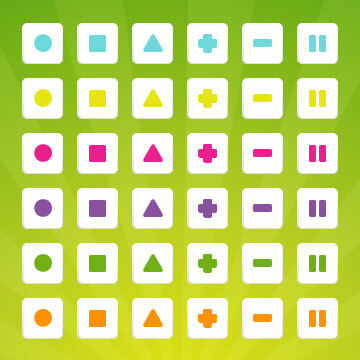 The main objective of PictoFeud is to score points by matching tiles with the same shape or the same color. If you choose to match tiles of the same color, they should all be different shapes. If you choose to combine tiles of the same shape, they should all be different colors. 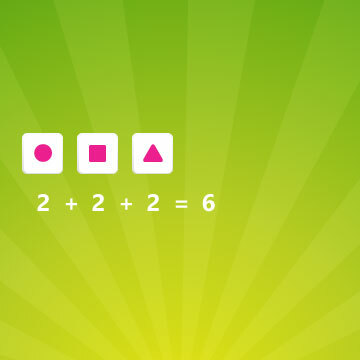 There are 6 different colors, and 6 different shapes, as shown in the image. The game can be played with 36, 72 or 108 tiles, so each tile may appear more than once throughout the game. Let's assume that Player 1 starts with a horizontal line of symbols of the same color. Yes, this can also be a line of symbols of the same shape (but different colors). And of course you can also start with a vertical line instead. Keep in mind that there can never be more than 6 matching tiles in a line, since each shape or color has to be unique. You can, of course, start a new one after a gap on the board. Each tile will add 2 to the total score. So, in this case, 3 tiles will lead to a score of 2 + 2 + 2 = 6 points. Player 2 decides to add a line of symbols of the same shape. In this example, Player 2 manages to add the tiles in such a way that the pink cross is also added to the end of the line that was already on the board. So how many points does Player 2 get? 8 points for the horizontal line (his own tiles + the ones already in the line), and 6 points for each tile in the vertical line. That makes a total of 8 + 6 = 14 points. As can be seen in this example, a tile can score in more than one direction! Player 1 adds three purple tiles. Note that a player can only place tiles in one direction within the same turn. However, tiles can still score in more than one direction, by matching them with tiles that are already on the board. This time, Player 1 scores 8 points for the line of purple symbols, 4 points for the line of squares, and another 4 points for the line of triangles. That makes a total of 8 + 4 + 4 = 16 points. Player 2 manages to complete the vertical line of crosses. As explained above, 6 is the maximum number of symbols in a line. If the symbols are the same shape, they must be different colors, and if the are the same color, they must be different shapes. Player 2 will be awarded a bonus for completing a line. 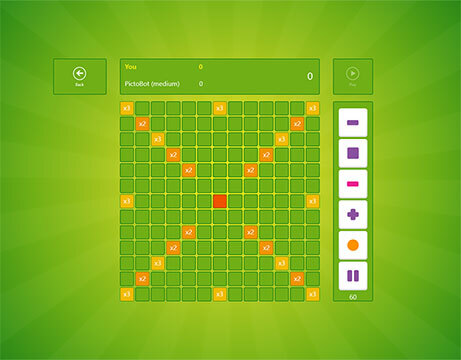 The normal score (2 points for each tile) is doubled, which leads to a score of 24 points! 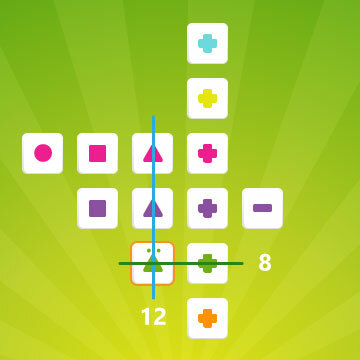 Player 1 places a tile with a green triangle on a 2x multiplier cell. 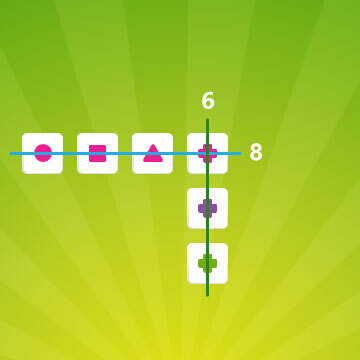 A multiplier doubles or triples the score for the entire line, not just the tile that was added, and can apply in more than one direction. Normally, the score would have been 6 for the vertical line and 4 for the horizontal line. However, because of the multiplier, both of these scores are doubled and the total is 12 + 8 = 20! Match tiles of the same shape OR the same color, not both. Do not include the same tile twice in the same line. The normal score is 2 points per tile. 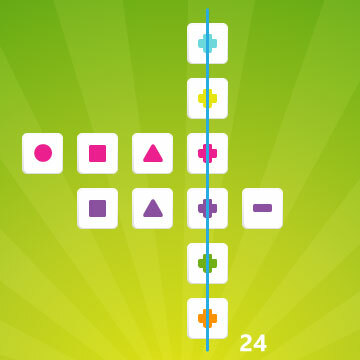 When the line is complete (6 different tiles), the score for that line is doubled. A multiplier doubles or triples the score for the entire line. If the winner has no tiles left, he gets 2 bonus points for each of the loser's remaining tiles. 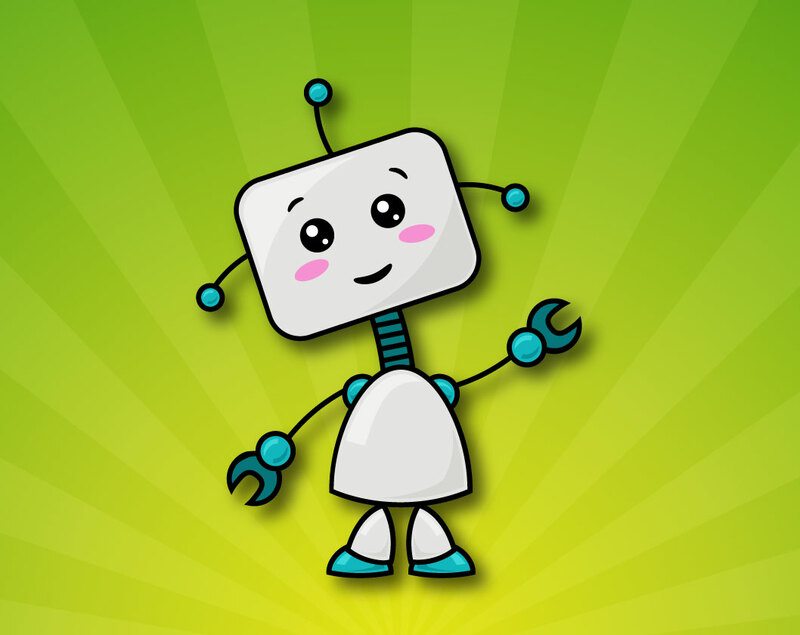 The logo shows the game's mascott, PictoBot, against a background of green rays, and can be either wide or square. The square version does not include the letters. You will find the logo on your Windows Start screen. Just click the logo and start the game! The start screen includes different lists of games in progress and game stats for past games. The first tab shows games where it is your turn, the second tab shows games where it is the opponent's turn, and the third tab shows a list of games that have finished. The game options dialog appears after the start button on the start screen is clicked. It includes options for the type of opponent, the number of pictos to play with, the difficulty (only available when PictoBot is selected as opponent) and board type. 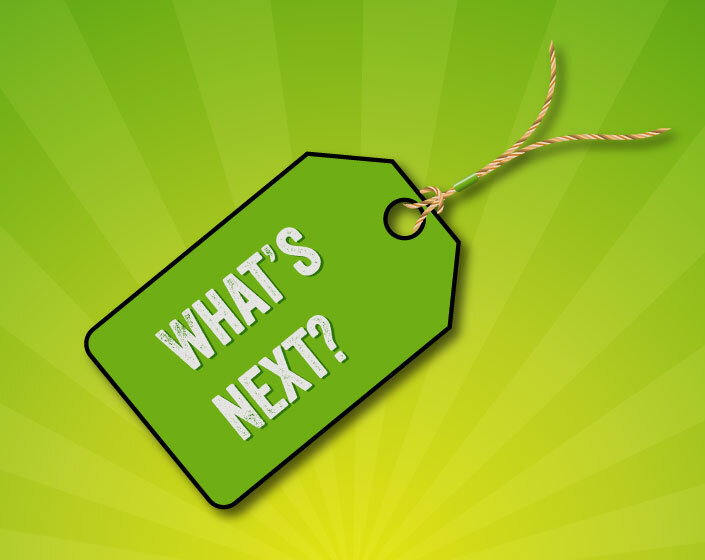 The Game Options dialog is shown at the start of each new game and allows players to choose from several different options. These options include the board size (36, 72, 108 tiles) and type (default, random, blank). The screenshot shows an empty, 72 tile, default type grid. This screenshot shows a game in progress, in which a human player is playing against the PictoBot mascott of medium difficulty. The tiles on the board are a pretty good representation of all the different kinds of combinations that can be made. There may come a point during the game when you can no longer make any matchs with the tiles you have, or you simply think it might be better to get some other ones. You can then decide to swap some tiles. The "Swap Tiles" can be accessed from the bottom app bar." 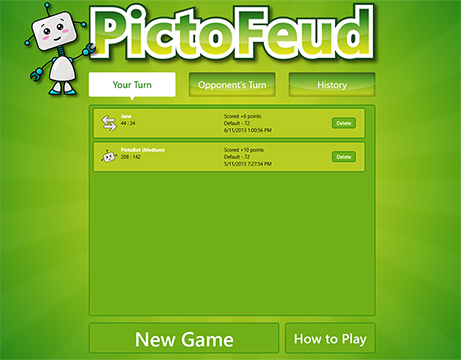 PictoFeud is a Windows Store board game app that allows players to play against PictoBot, the game's mascott, or against friends. 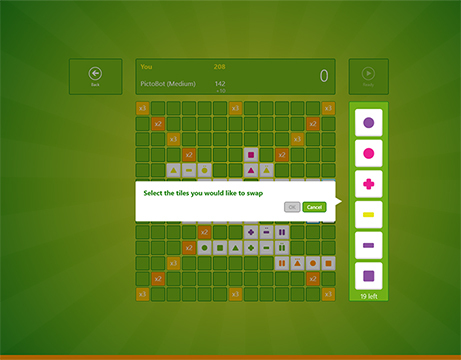 Players can score points by matching up tiles on the game's board, based on color or shape. 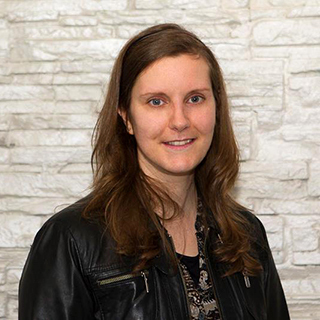 Copyright © 2013 PictoFeud / All rights reserved.